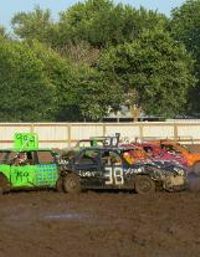 The Clay County Fair features live music, inflatables for the kids, vendors, food, livestock shows, princess pageant, talent contest, demo derby, celebrity donkey races, barnyard Olympics, power wheels derby, lawn mower obstacle course, chainsaw carving, and much more. Admission to the fair is free. However, we do charge for some events. Please visit our website for more information.